Mortgage broker expert witness testimony may involve matters concerning actual licensed activity under a real estate or other license that allows an individual or organization to solicit, negotiate and arrange loans on behalf of others. Hard money expert witness testimony could involve matters concerning non-institutional loans made with private party funds, often referred to as “hard money loans” or “private money loans.” This type of expert may also be referred to as a private money expert witness or hard money expert witness. Usury expert witness testimony involves conflicts as to whether or not an exemption from usury existed. In interviewing the different prospective experts, consideration may be given to their background, experience, current involvement with, and familiarity with the specific types of loan transactions involved. In the case of Mortgage Brokers for instance, there are many considerations regarding the responsibilities of their license. First, there are certain legal requirements they must follow, then regulations of the commissioner of real estate, then the real estate broker fiduciary duties and standard of care may be considered. Several large “waves” of real estate litigation exist today. First, related to the subprime lending boom that occurred during the first few years of this century, there are numerous cases related to predatory lending, fraud in mortgage lending, and unfair practices in real estate lending. Then, there are lawsuits related to usury, and whether or not a loan was arranged by a broker. On the side of trust deed investments, there are lawsuits related to trust deed investors, including disclosure, underwriting, and investor suitability problems. Different individuals serving as a mortgage expert witness will have differing backgrounds that place them at different levels of qualification as experts in the matter at hand. Some mortgage experts may only have experience in institutional or bank lending, meaning that they have always originated loans that were brokered to, or originated by, banks or institutions and have not been involved in loans made or arranged with private investor funds. Other experts may have only been involved with a particular type of private money loan and may not have the experience in the requirements or practices of institutional lending. These differences and the particular experience related to the mortgage litigation involved may impact the selection of the mortgage expert witness. When appropriate, testimony from a mortgage expert witness can be critical to certain cases. 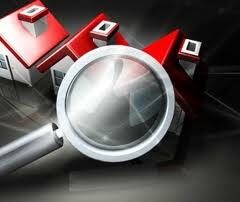 Equally as important is the selection of the correct mortgage expert witness for the case at hand. Joffrey Long is a mortgage lender / broker who makes, arranges and services both private money (hard money) and institutional real estate loans. He is the Education Chair for the California Mortgage Association, and has written and presented numerous educational programs in the mortgage industry. He also serves as a mortgage expert witness and mortgage litigation consultant in legal matters.